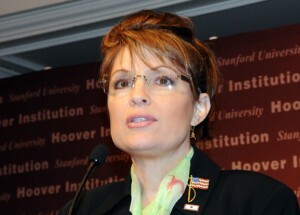 Truth Wins Out (TWO) today urged GOP Vice Presidential nominee Sarah Palin to speak out about her church’ support for an “ex-gay” conference that will be in Anchorage on Saturday. Palin is scheduled to be in Alaska today and should use her visit as an opportunity to inform Americans whether she agrees with her church that homosexuals can be cured through prayer, says TWO. The controversy began when Time Magazine discovered that Wasilla Bible Church, where the Palins worship, had a Sunday morning program insert advertising an upcoming Focus on the Family conference on curing homosexuality in Anchorage called Love Won Out. Truth Wins Out’ Executive Director, Wayne Besen, is now in Anchorage to oppose this anti-gay symposium. He will speak at a forum on Thursday evening in Anchorage with local religious and community leaders to discuss the danger of so-called “ex-gay” ministries. The “God Loves You Just as You Are,” symposium is sponsored by the Metropolitan Community Church (7208 Duben Avenue) and will take place at 7:00 p.m.
John Paulk, an “ex-gay” leader who was on the cover of Newsweek originally founded the program. Love Won Out suffered a major setback after Paulk was photographed in a Washington, DC gay bar in 2000. Besen is the author of “Anything But Straight: Unmasking the Scandals and Lies Behind the “Ex-Gay’ Myth.” TWO shadows this anti-gay seminar across the nation to ensure that the public is armed with the facts and aware that Focus on the Family is deliberately disseminating misinformation about gay and lesbian people.